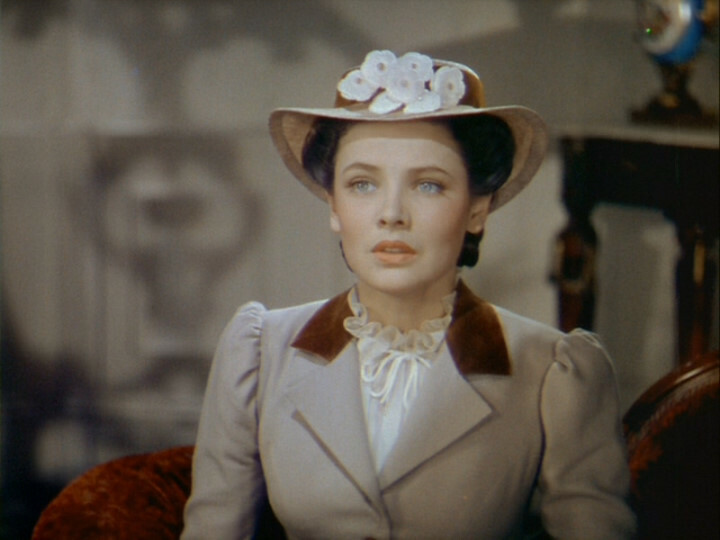 Today on Summer Under the Stars, Turner Classic Movies is honoring the ethereal and troubled Gene Tierney. If I had to make a list of the most beautiful women ever, in my opinion, Gene would definitely be near the top. She was a beauty from the day she was born in Brooklyn, and with a face like that, it’s obvious she was destined for fashion and the movies. She starred opposite many of Hollywood’s biggest leading men such as Rex Harrison, Tyrone Power and Clark Gable, and worked with the best directors of her time, including Otto Preminger, Fritz Lang, John Ford and Michael Curtiz. 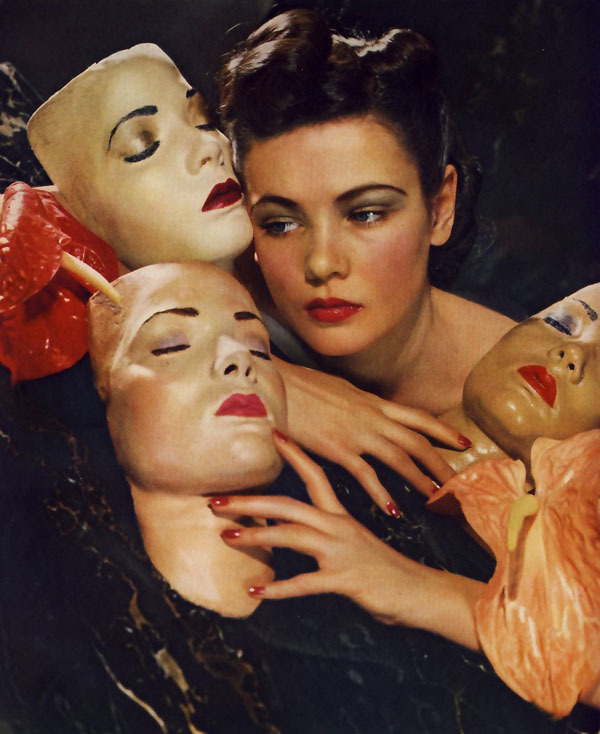 She also frequently modeled for Vogue in the 1940s. Gene enjoyed a high profile marriage to costume and fashion designer Oleg Cassini. In 1943, when pregnant with her first daughter, Daria, Gene contracted Rubella at the Hollywood Canteen, and Daria was born with severe mental and physical problems. Many, including Gene herself, suggested that this event may have brought out her (Gene’s) bipolar disorder. 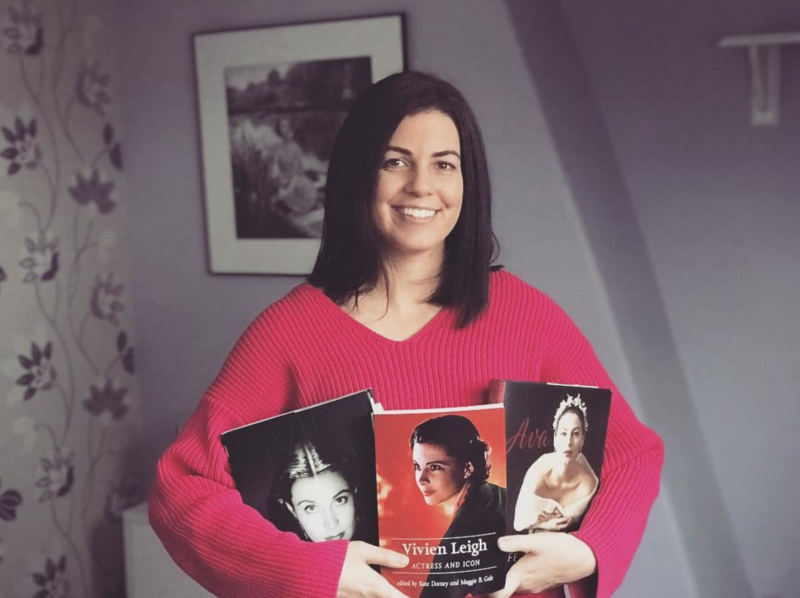 Much like her contemporary Vivien Leigh, Gene continued to act, but increasingly found her mental instability getting in the way of her career and personal life. In her autobiography, Self Portrait, Gene talks at length about her struggle with mental illness, suicide attempts, and what it was like for a patient to receive psychiatric care in mental hospitals in the 1950s. Like Vivien, Gene was often subjected to crude treatment methods such as being wrapped in icy sheets and being given shock therapy, the latter of which she became an outspoken opponent against, saying it erased portions of her memory. Despite her mental condition, Gene persevered, enjoying a brief screen comeback as a character actress in the 1960s, and married Hedy Lamarr’s ex-husband, W. Howard Lee, an oil baron from Texas. She died in Houston of emphysema in 1991. 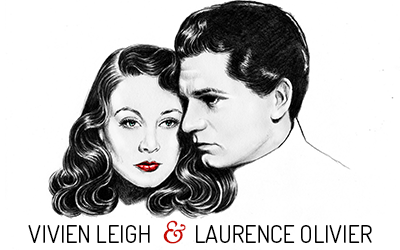 I’ve only seen three of Gene’s films thus far: Laura, The Ghost and Mrs. Muir, and Leave Her to Heaven, so I’m excited that TCM is giving her the spotlight for the first time! If you are wondering why Gene has never been showcased until today, Robert Osborne explained that it is because most of her career was spent under contract to 20th Century FOX, and therefore TCM had not been able to get many of her films in the past. The ones I’m most looking forward to watching aside from Leave Her to Heaven (which is a great movie if you haven’t seen it) are Dragonwyck and Where the Sidewalk Ends. Check out the Summer Under the Stars site for the full line-up. I didn’t know any of this about her, it’s all so tragic. Really gorgeous post, and those photos are amazing. Just before I came online I was checking TCM to see who the star was today. So glad I didn’t miss it! I’m really excited to see Leave Her to Heaven after your interview with Robert Osborne. I TiVo’d The Shanghai Gesture with Ona Munson. I fell asleep before finishing Gene Tierney’s movie: CLOSE TO MY HEART. does anyone know how it ended? Did they end up getting baby Danny? 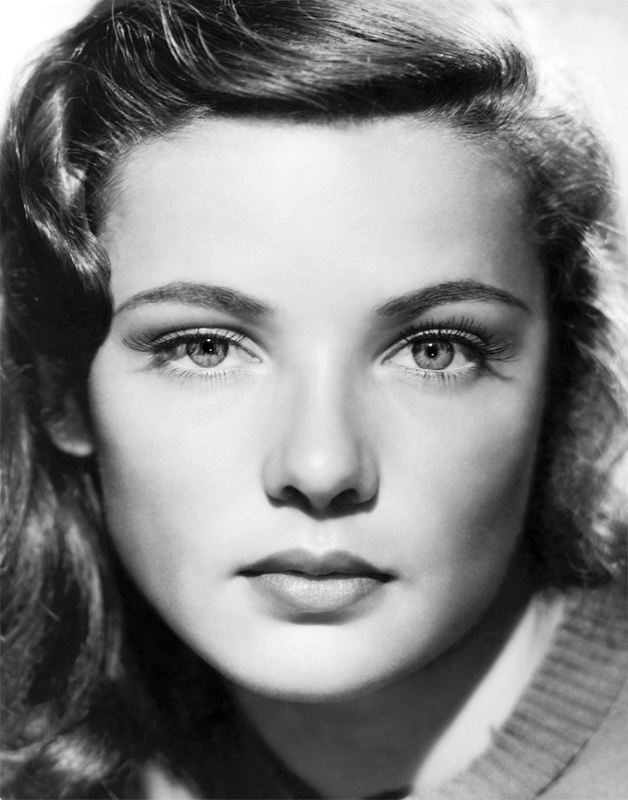 Gene Tierney may arguably be the most beautiful woman in film history. Few can rival her ethereal, melting beauty. She was so lovely in the Ghost and Mrs. Muir – and Laura, of course. Sadly, her life was punctuated with tragedy, but she seems to have found love – and perhaps the peace that had so long eluded her -with her last husband, W. Howard Lee. She’ll always be one of my favorites. 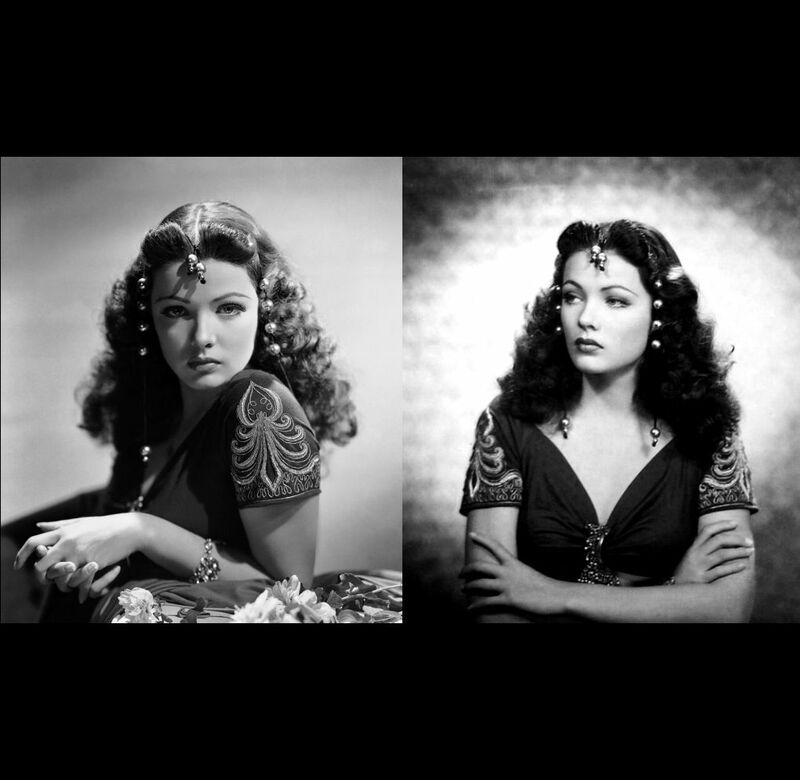 The first photograph shows her soulful natural beauty more than any I have seen.It also verifies to me that Gene Eliza Tierney is indeed the most exquisite woman to ever step in front of a camera. Her TB medication no doubt exacerbated her bipolar disorder, but she was indeed bipolar. There is ample medical evidence to support this.